Soft satin ties which can be adjusted for a comfortable fit. 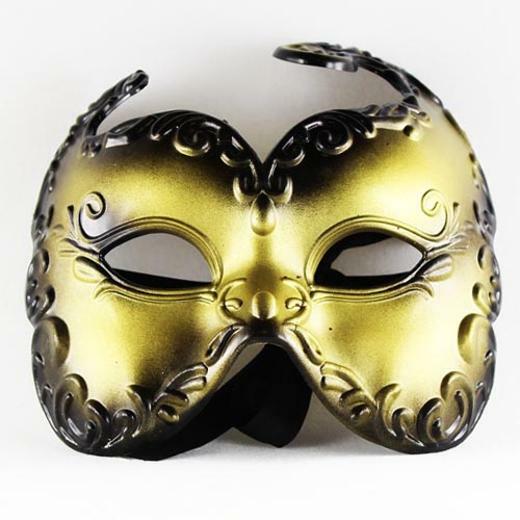 1 Gold and Black Horned Domino Mask. This mysterious mask with slightly menacing horns is great for a spooky masquerade or Halloween party. Made of heavy plastic with satin ribbon ties this mask can be worn once or over and over again. One size fits most.